Size 5 - $44.99 Size 6 - $44.99 Size 7 - $44.99 Size 8 - $44.99 Only 6 left! Size 9 - $44.99 Size 10 - $44.99 Only 8 left! Wow I was so happy when i received my boots in the mail. I ordered a size 11 I'm a size 10 but I did not know if they were going to fit right because of my calf size. My calfs are big I am a size 15 in on my calfs n they fit just right a little tight but they do close yay! 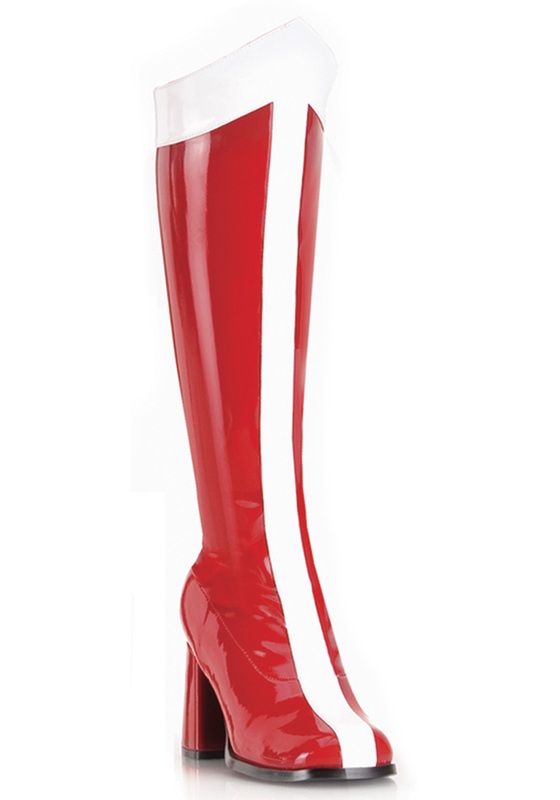 I made my wonder women costume so the boots really make the whole look complete. 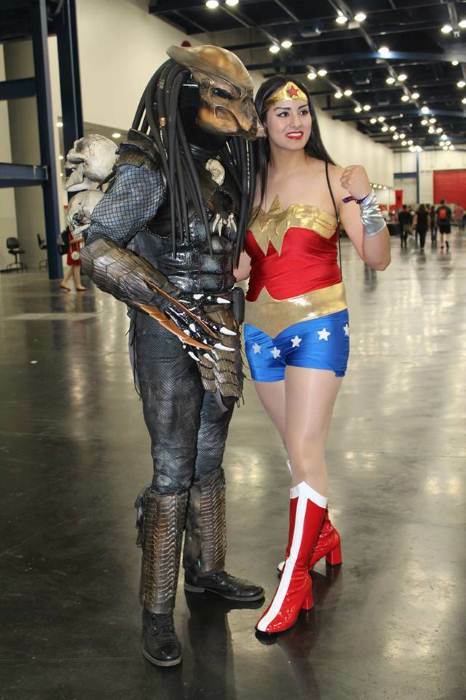 I wore my boots to Comicpooloza 2013 in Houston for about 8-9 hrs n they were comfortable until the 5th hour thats when my feet started hurting. I recommend wearing comfortable socks that dont make the boot slide inside the rubbing will hurt your feet. I definitely recommend this boots they are a great price u will find the same boots on other web sites like ebay and amazon for higher prices. Be careful not to rub your boots together the black strikes will not come off! I purchased these boots with my WW costume a entire size larger than I wear as the calf size seems small, I am an 8 and by ordering the 9 I was able to zip them past my calfs. I am short, only 5'4" and am 112 pounds, the calf size is extremely small so if you are a larger person I wouldn't recommend them for you. WONDER WOMAN BOOTS - THE BEST!! Bought these boots about a week before Halloween 2012. I had to have them since i had my costume exclusively made by a lady in the UK. These boots will complete your outfit. They were awesome. Bright read, comfortable heal and good quality for the price. I wore them for 6 hours at a rave, walked two miles in them and i was fine. I do recommend you wear thick socks with them since they may give you blisters. I wore very thick socks and was comfortable the whole night dancing and standing. I wear a 6 to a 6.5 depending on manufacturer. Fit well enough to remain on my feet all night! I ordered the wrong size. Im a 7 and a half on most boots. However, decided to get size 7 and they are too tight. Im back to reorder size 8 . I really like the make and material . They def resemble ww original boots. Im very happy with the heel and how they look with the costume. The price is great compared to other websites. Im so excited to wear them this thrusday :) happy Halloween everyone! If you every have issues getting boots to zip, do not purchase these. They looked awesome and the price was right; however had about 10 inches that were left unzipped, so I couldn't wear them. I got a size 9 which is what I usually wear in boots and they fit perfectly! This boots are great! Quality is much better than expected. Can't wait to see how they look with the costume and the use.